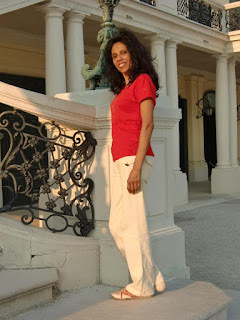 Today I have the pleasure of hosting Mehreen Ahmed author and journalist on my blog. Today she will be discussing the use of food in her latest novel, The Pacifist. In 1866, Peter Baxter’s misfortune ends the day he leaves Badgerys Creek orphanage. Unsure of what to do next, Peter finds himself on a farm run by Mr. Brown. An aging man, Brown needs help and is happy to give Peter a place to live in exchange for his labor. Unbeknownst to Peter, Brown’s past is riddled with dark secrets tied to the same orphanage, which he has documented in a red folder. During a chance encounter, Peter meets Rose. Peter cannot help but fall in love with her beauty, grace, and wit; however, he fears that his affection will go unrequited as a result of his crippling poverty. But fate changes when Peter joins the search for gold in Hill End, New South Wales. Striking it rich, he returns to Rose a wealthy man. Peter is changed by his new found affluence, heading towards the mire of greed. Will Rose regret her relationship with Peter? Meanwhile, Rose has her own troubled history. One that is deeply entwined with Brown’s past and Peter’s future. Literature is often associated with food. As a reader, I cannot think of fiction without food. Descriptions of cozy cafes, and coffees are thrilling. Margaret Mitchell’s Gone with Wind is an apt example, where food is exploited to create the luxurious ambience of the south, until the civil war broke out. Tara’s ultimate proclamation, “I’ll never be hungry again,” has stirred readers, perhaps more than the war itself. 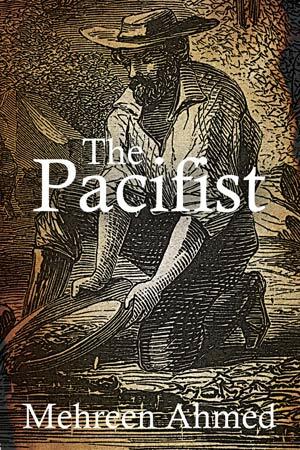 In my book, The Pacifist, food came to play a dominant role as well. Almost every chapter contains some mention of cooking or food. Ranging from granola to soup to lamb chops to baked dampers and vegetables: food is used to create atmosphere. Food plays a significant role for a number of reasons. Apart from its hunger-satisfying requirement, it conjures an eighteenth century setting of rustic kitchens, utensils, and cooking methods. Nostalgic flavors from the past dance on the reader’s tongue from page to page. Food sheds light on the social status that people enjoyed in society. It is a marker of people’s identity. What a lowly peasant eats in the Brown’s household distinguishes his class from what people eat at the Baxter residence. On Brown’s farm, a typical menu consists of mash, soup and vegetables, whereas the Baxters become accustomed to three-course meals that include an extensive amount of meat. They also frequently stop during the day to drink tea and eat snacks. The way that they dine is evidence of opulence and wealth. If readers see wealth as part of the Australian dream, then they must take into account how focus shifts to certain kinds of foods. This is represented in The Pacifist to indicate a movement towards the attainment of such a dream: class, sophistication, and status. Food in this book also reveals the historical convict diet. Skilly, for instance, was typical convict food. It consisted of a thin broth made from oatmeal, water and flavored with meat. Notably, this sort of diet did not include vegetables or fruit. On long voyages from Britain to Australia, the lack of fresh produce eventually led to diseases, such as scurvy, among many convicts. Convict ships carried prisoners suffering from this disease and accounts from maritime doctors of the eighteenth and nineteen centuries reveal an epidemic on the ships. Author Jonathan Lamb often described scurvy on South Sea voyages as ‘extensive’. In The Pacifist, one character, Emma, sees food as a way to heal the soul. In her effort to pioneer a home based teahouse business, she decides to open her teahouse in the middle of nowhere. She wanted to start this business not because cooking was a passion of hers, but she rejoiced in the idea that she would serve her famished clients' hot food to enjoy under the awning of a balmy New South Wales morning sun. One of the more humorous moments comes when Rose’s burnt chicken drumsticks helped Peter fall in love with her at first sight. When he sees Rose standing in the shimmering lights of the kitchen, trying her inexperienced hand in cooking, Peter is smitten. Queensland writer, Mehreen Ahmed has been publishing since 1987. Her writing career began with journalism, academic reviews and articles. Her journalistic articles appeared in The Sheaf, a campus newspaper for the University of Saskatchewan, Canada, between 1987 and 1999. She has written academic book reviews and articles and has published them in notable peer-reviewed journals in her area of study. Mostly introspective, Mehreen also writes fiction. Set in Brisbane Queensland, Jacaranda Blues is her debut novella, written in a stream of consciousness style. A featured author for Story Institute, she has published The Blotted Line, a collection of short stories. More recently, Snapshots and Moirae were first published by PostScript Editions, UK in 2010 and a second edition by Cosmic Teapot Publishing, Canada in 2016. Her flash fiction, The Portrait has been published by Straylight Literary Magazine, a biannual magazine of the University of Wisconsin-Parkland, English Department. She has earned two MA degrees. One in English and the other in Computer Assisted Language Learning (Applied Linguistics) from Dhaka University and the University of Queensland, Brisbane Australia.